Welcome back to my second Halloween-themed post! With her new book The Paying Guests receiving acclaim by reviewers, it seemed fortuitous that I had just picked up one of Sarah Waters’ previous books to feature in my Halloween series. Like The Winter People by Jennifer McMahon, I discovered The Little Stranger using my library’s new-to-me online recommendation feature. Again, like The Winter People, it was recommended to me because of my interest in The Woman in Black by Susan Hill. In elegant, mannered prose, the narrators of these psychologically suspenseful ghost stories describe their encounters with possible supernatural phenomena at declining English country estates. Both leisurely paced yet intricately plotted novels boast an atmospheric historical setting imbued with menace. 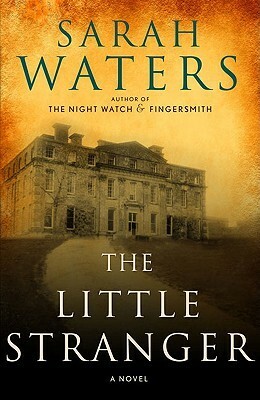 In Waters’ The Little Stranger, British country doctor Faraday recounts the downfall of the Ayres family and Hundreds Hall in the years between the wars. As I read The Little Stranger, I wasn’t sure if it would fit the bill for a Halloween read, but about halfway through, I determined that it fit the type of suspenseful gothic novels I enjoy reading, particularly this time of year. 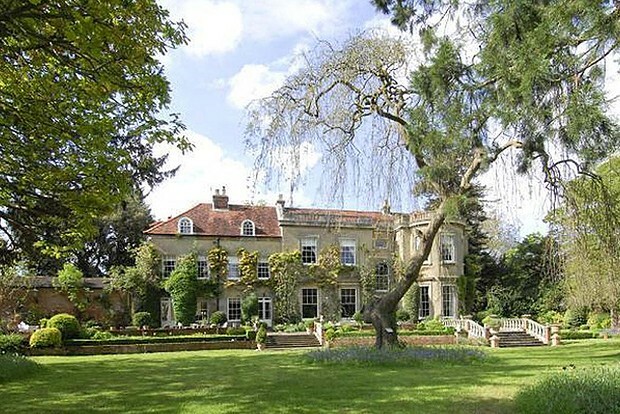 George Clooney and Amal Alamuddin purchased this 17th-century English manor shortly after their wedding. An English country estate may be one of the most romantic places in the world, but it’s certainly also one of the creepiest. Waters has skillfully created the setting at Hundreds Hall and the surrounding country side between the great wars. England, along with its young men and their families, are still trying to recover or just trying to survive in the new world created in those years leading up to WWII. And somehow the loss of her made me want her, plainly and physically, more than the nearness of her had done: I stepped to the door and stood against it, frustrated, willing her to return. I found this novel hard to put down. If it weren’t, there’s no way I would have finished it with a newborn at home. The pacing of the story and the writing are so superb I just craved the next sentence and the next little turn in the book. The richly detailed Hundreds Hall, which served as the main setting, was so realistic I felt as if I were walking down its dark, dusty halls and into its stale, closed-off rooms. In any other setting, such a story would have struck me as farcical. But the Hall, by now, had a disconcertingly palpable air of stress and tension: the women in it were tired and nervous, and I could see that Mrs. Bazely’s fear, at least, was very real. When she’d finished speaking, I left her side, and went across the kitchen to look at the speaking-tube myself. Lifting the tea-cloth I found a bland ivory cup and whistle, fixed to the wall at head height on a shallow wooden mount. A less sinister looking thing it would have been hard to imagine—and yet, when I thought of the disquiet it had managed to inspire, the very quaintness of the object before me began to seem slightly grotesque. I was reminded uneasily of Roderick. I remembered those ‘ordinary things’—the collar, the cufflinks, the shaving mirror—which had seemed, in his delusion, to come to crafty, malevolent life. Waters is known for writing richly detailed stories, and this is no exception. The setting is realistic and the suspense builds palpably. Narrators are generally not considered reliable, but, in using Faraday to tell the entire story, Waters developed a number of strong characters. Waters has written a measured, successfully-plotted story. With a general sense of suspense and dread building throughout, Waters has told a very successful story with The Little Stranger. I enthusiastically endorse reading The Little Stranger no matter what time of year it is! Have you read any of Waters’ novels? What did you think? 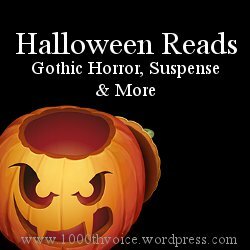 This entry was posted in books and tagged gothic, Halloween reads, literary fiction, Sarah Waters, suspense. Bookmark the permalink. So glad you enjoyed this one! It’s one of my all-time favorite novels and my favorite Sarah Waters so far. It was such a joy to read! It seems like I should just read all of your favorites, and I’ll be set!